The Vice President, Shri Hamid Ansari has said that India enjoys close and cordial relations with Brunei and Thailand. He was addressing a Press Conference on board the Air India Special Aircraft to Brunei and Thailand for a 5-day visit, today. The Minister of State for Home Affairs, Shri Haribhai Parathibhai Chaudhary is also accompanying the Vice President. The Vice President outlined the history of recent bilateral exchanges with Brunei, and mentioned that the country had been the coordinator for India under the ASEAN framework. India's close economic ties were based on the purchase of crude oil and natural gas, and that India was actively exploring the possibility of partnership in the natural gas sector through setting up a fertilizer factory in Brunei, he added. The Vice President said that signing of Memoranda of Understanding with Brunei on Defence, Health and Youth Affairs and Sports was also on the cards. 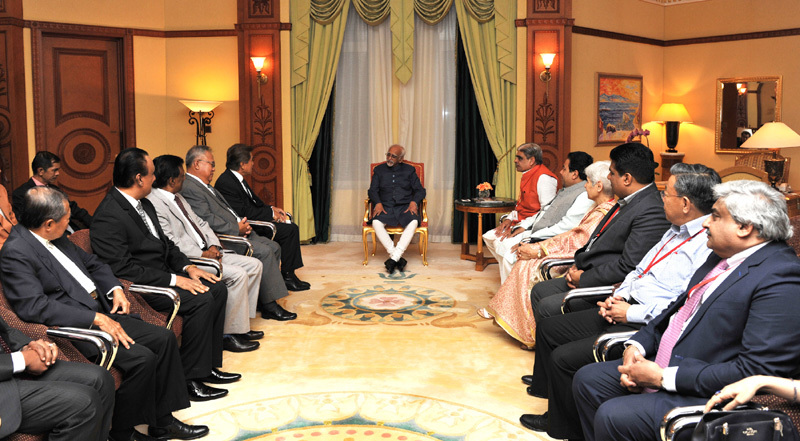 This will be the first ever visit by an Indian Vice President to Brunei, he added. Touching upon the importance of India's relations with Thailand, the Vice President mentioned that wide ranging cooperation in counter-terrorism, Defense, and investment indicated the substantial nature of our ties. He noted the support that Thai authorities had extended in repatriating wanted individuals to India. Responding to a question on Defence cooperation, the Vice President mentioned that Thailand and India enjoyed a maritime boundary and that our cooperation in the field was significant. He also expressed satisfaction at the continued engagement between both sides on the counter-terrorism front. Responding to a question on the rise of IS activities in ASEAN Countries, the Vice President highlighted the danger of an ideology that sought to achieve a political objective through terrorism. The threat of Terrorism, he said, required to be met with the most stringent response.